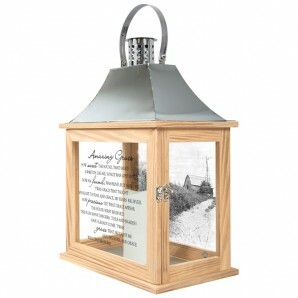 Beautiful Life Lantern | Aebersold Florist - Dial 812-945-2544 :: Lanterns - An elegant keepsake, expertly crafted. 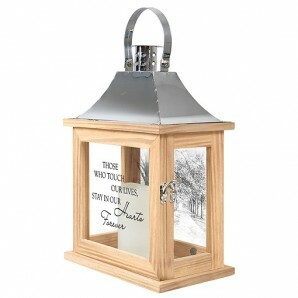 This elegant lantern with LED candle is made of metal with a chrome and satin copper finish. Perfect to be displayed by hang it up or siting on a table. Paired with beautiful fresh flowers or a dish garden creates a beautiful display with a keepsake to have for a lifetime. Our Light The Way lanterns are made with high-quality metal finishes including chrome and satin copper. They come inscribed with sentimental quotes and a charming flameless LED candle. 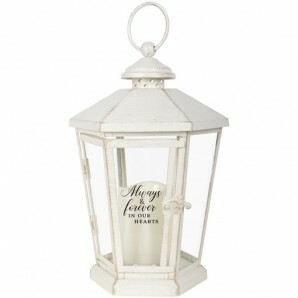 Suitable for hanging or use as a freestanding item. Recommended as an accent in floral arrangements for many occasions. They are weather friendly! "In loving memory of a beautiful life." Dimensions: W: 4" H: 6.5" D: 4"